Breathing. Everybody does it, but it’s especially important for athletes. A new ad for Nike VaporMax Air sneakers features a mix of pro and amateur sports enthusiasts gasping for oxygen as they exert themselves. The :60 starts out slow, as each person gears up for the task at hand—a sprint, a swim, a dead-lift, a penalty kick, a free throw and so forth. Before long, they are huffing and grunting as they push it a little further, a little harder. Eventually, they sigh—one last big exhale as they take in the cheers of the crowd—or just meet their own big goal. Wieden + Kennedy Portland created the spot. The better-known endorsers include track and field athlete Deajah Steve, NBA player Giannis Antetokounmpo, pro surfer John John Florence, Paralympian and triathlete Sarah Reinertsen, and snowboarder Sani Alibabic. Overall, the spot is plenty serviceable. 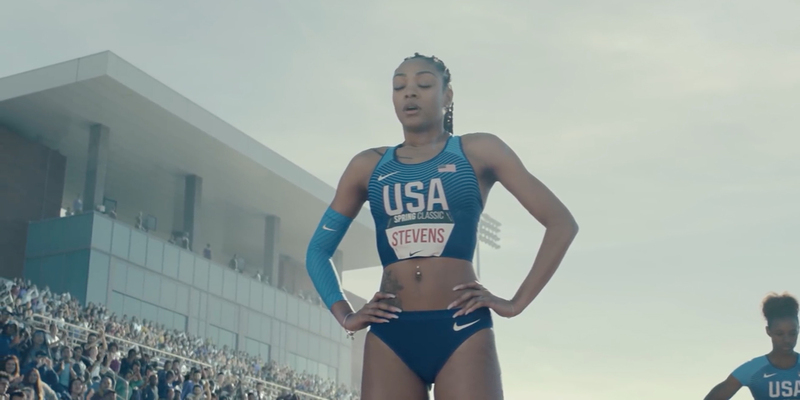 As usual with W+K’s Nike commercials, the pacing of the dramatic build is perfect, and crescendoes to a clear point. The concept allows for clever use of sound design, which puts a fresh spin on the sports montage. And while the pun is a bit tough to swallow, not every ad can be pure poetry. Sometimes the creatives have to, you know … just do it.